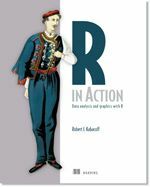 R provides functions for both classical and nonmetric multidimensional scaling. Assume that we have N objects measured on p numeric variables. We want to represent the distances among the objects in a parsimonious (and visual) way (i.e., a lower k-dimensional space). You can perform a classical MDS using the cmdscale( ) function. Nonmetric MDS is performed using the isoMDS( ) function in the MASS package. 3-way or individual difference scaling can be completed using the indscal() function in the SensoMineR package. The smacof package offers a three way analysis of individual differences based on stress minimization of means of majorization. 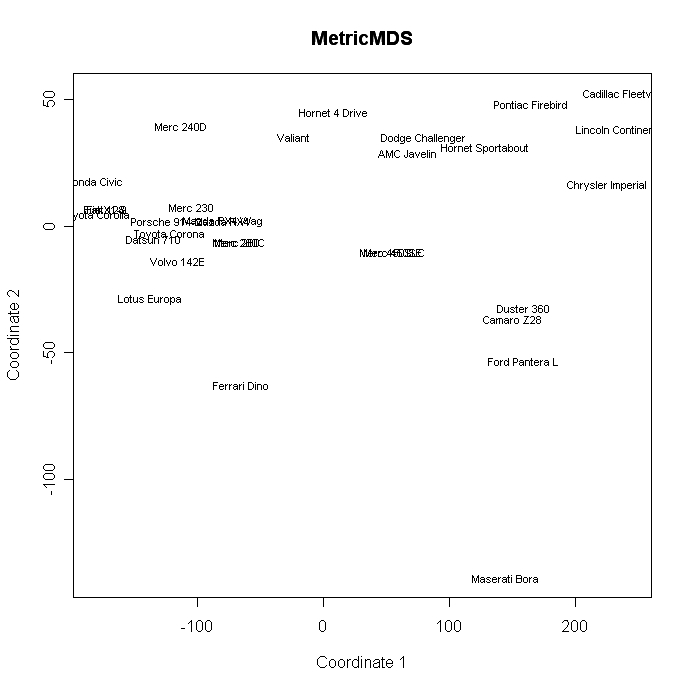 This tutorial on ggplot2 includes exercises on Distance matrices and Multi-Dimensional Scaling (MDS).